There are lots of mould types. This informative article will endeavor to go into detail the fundamentals of several injection mould types here. The details may well seem uncomplicated to those people that happen to be within the moulding tool and moulding design business, on the other hand I feel the layman warrants a summary before we continue with fine points. What Exactly is a Mould? 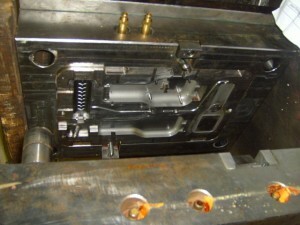 An injection mould may be a range of pieces; attached together to make a hollow space within the obverse of the component needed to be moulded. Frequently this features one part hollowed out in the shape of the exterior of the component, and yes it can become the fixed mould half. A second part involves the inside of the part, has ejector pins to clear it from the mould and is called the ejector half or even moveable half. Melted plastic is injected into the mould through a sprue and runner system. Once the plastic material reaches the cavity area it goes through a confined area referred to as gate. The gate has a smaller footprint versus the runner and makes it much simpler to get rid of the piece off of the runner immediately after moulding. As soon as the plastic is injected into the mould cavity section, an quantity of time will elapse to cool the plastic to a solid, and after that it can be ejected from the mould without the need of deforming. The piece comes out of the mould, and the machine sequence is repeated to obtain additional parts. What is an Injection Moulding Machine? A moulding machine is comprised of: 1) A frame in which to install the mould. This framework has a moveable segment with the ability to open and shut the mould, and also to operate an ejector process within the mould. While sealed it exerts tons of pressure on the mould to hold it closed as soon as the plastic injects. 2) A plasticizing apparatus for melting the plastic material. This might be known as a screw and barrel. Electric heater rings located all over the barrel generally to heat it. The particular screw revolves within the barrel supplying mechanical heat towards the task, however, this spinning motion alone will not be adequate to melt the plastic. 3) An injection device for driving the plastic melt in to the mould with force. 4) Controls for making the above come together in the appropriate routine. 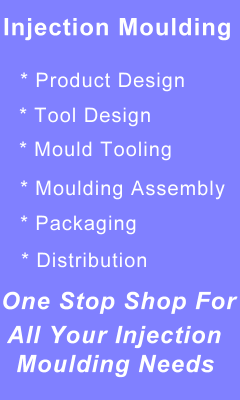 International Mould Tools Can help you from design to production on any moulding you may require. We can help with the choice of machine for your type of production capacity. Description: There are lots of injection mould types. This informative article will endeavor to go into detail the fundamentals of several injection mould types here.